Did the new year trigger thoughts of retirement? If you’re thinking about when you should retire, do these three things before you make a decision. 1- Determine your retirement lifestyle. Many people fail to envision how they will spend their retirement days. They have a general idea that they’ll finish all those to-do items around the house … or travel more … or play more golf. But what they’re missing is all the other stuff that comprises their retirement lifestyle. Having a complete view of one’s retirement lifestyle helps determine how much money you’ll need in retirement. Retirement can easily last over 20 years. For some, it may last over 30 years. During this period of life, you’ll have active years, moderately active years, and nonactive years (aka, the go-go years, the slow-go years, and the no-go years). Use the 5 P’s of Life to begin planning your retirement lifestyle. Think about how your lifestyle will be in each of those segments. Will you pay for annual family gatherings? At what point will you downsize your home to reduce expenses and responsibilities? Will you work part-time or return to school? What new volunteer activities will you embrace? What activities will you undertake with your time? 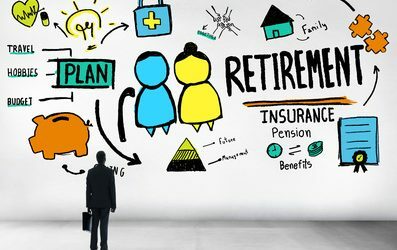 While we don’t have a crystal ball to know exactly what will happen during our retirement years, we can create a vision to work from when planning for retirement. 2- Track how much money you currently spend. When your income is strong, most likely, you don’t have to worry about how much money you spend. You’re accustomed to having income to cover your expenses, including your splurges. When moving into retirement, you’ll be shifting into a different mindset. No longer will you be generating income for your lifestyle. Instead, your lifestyle will be defined by the limited income generated from your retirement savings. For this reason, it’s important to understand how much you currently spend. Once you know how much you spend, that amount can be adjusted to accommodate your retirement lifestyle. With this information, you can calculate if you can afford your retirement lifestyle or if you’ll need to adjust your expectations. 3- Estimate your health care and long-term care expenses. If you’re retiring before turning 65 years old, you need an option for health care insurance. Medicare is only available when you turn 65 years old. And, it is only available for you, not your family. If you have a young family, you’ll need to find other health care insurance options to protect them. In addition to health care costs, estimate how much you may need for long-term care. Medicare does not cover long-term care. Look at your family health history and how you’ve been taking care of your health to determine what services you may need as you age. Even if you have a long-term care insurance policy, read the small print. Most policies will not begin paying unless you cannot perform at least two of your activities of daily living (ADLs). These activities are self-care and include bathing, grooming (personal hygiene), dressing, toilet hygiene, mobility (transferring), and self-feeding. You’ll need funds to cover the gap between when you begin needing help to when your policy pays for care. When planning for retirement, there are many variables. Creating a vision of your retirement lifestyle, knowing how much money you spend, and estimating your health care and long-term care expenses will help you better plan for retirement.